Just like my hero, Chris, in Adventures in Babysitting, I live in the suburbs of Chicago, and occasionally, I have little hometown adventures. Whenever Brian and I get lost, or take the long way around, we call it an adventure. I have yet to meet Thor or get stabbed on the El, but not for a lack of trying. I have, on the other hand, been beaten up by a no-parking sign, tripped by an invisible wire, and almost killed by falling ice daggers. My life here in Chicago is full of adventure. And you know I’m like a gremlin and have all these rules of care…like how I need to be fed at regular intervals. My daily adventure starts with a commuter train ride. A snack pack can be a lifesaver this early in the morning. I venture from suburbia into the city every day for the job. When you’re hundgry, it’s a long 45-mimite ride. 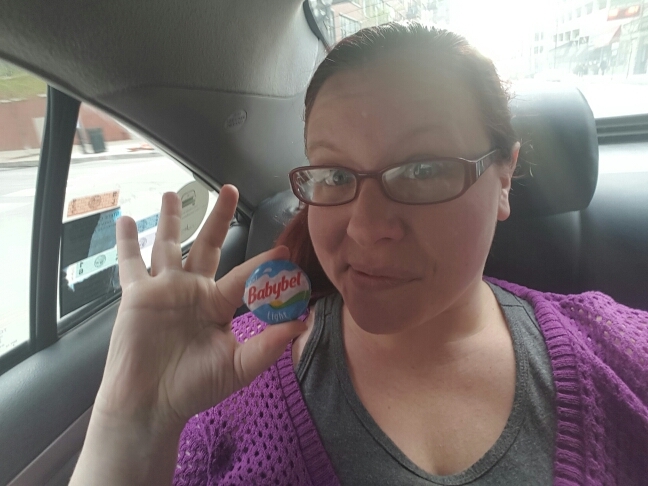 But little snack packs like my favorite on-the-go cheese, Babybel, make the trip tolerable. Sometimes, if I have time, I’ll even slice it and melt it on some bread in the toaster oven before I head out of the house. On occasion, after work, Brian and I (or just I) will journey on an adventure after work. We might go out for dinner, do some touristy nonsense, or we may head to a movie. As we roam through the city, we’ll take a cab or the El (cabs are faster and easier most of the time). I’m a big fan of cab selfies, and they’re even better when I have a snack. Once we get to our theater destination, I’m ready to put out my buffet of treats to enjoy delicious snacking. This is why large bags are important. So you can bring enough snack packs to share with your people before you kick your feet up. The best movie theater snack packs include a beverage, something sweet, savory, and crunchy. When I went to see Captain America, I brought bottled water, a candy bar from Dylan’s, a selection of Babybel, and pretzel thins to give me a little crunch. And I was happy. As I made my way home, I napped on the train, dreaming of more cheese. 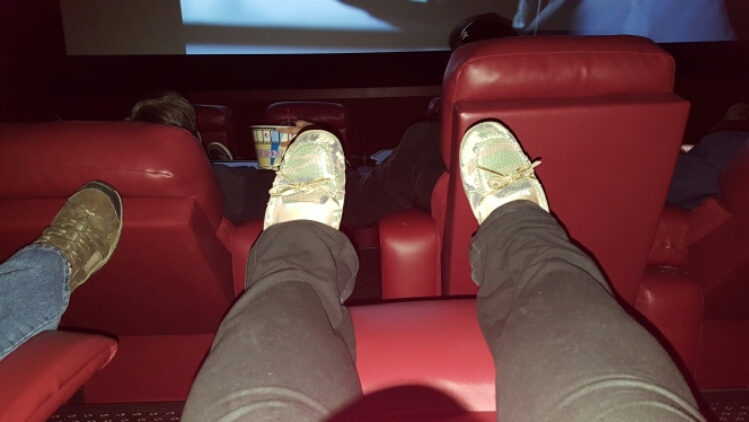 What are your favorite movie theater snacks? 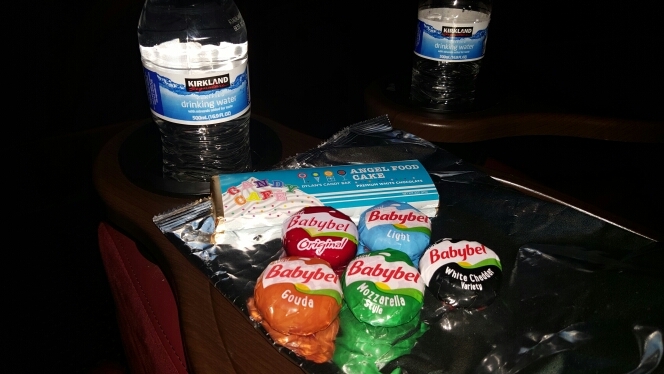 Do you bring your own snack packs into the theater? Babybel sent me free samples and some things to make my adventures more fun, but as always, these opinions and thoughts are mine, and mine alone. 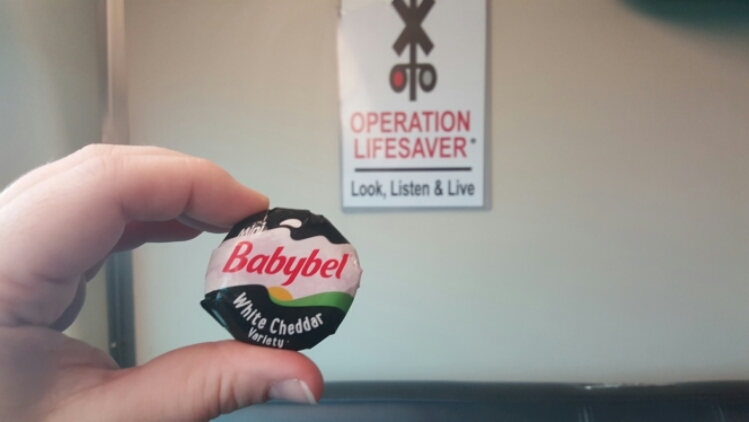 I eat a lot of Babybel, because I’m always running around town.